The Industry is changing day by day and minute by minute. A thought about staying relevant in 2016 and beyond. The studio is always in flux. What will come through the door tomorrow? I get a lot of grief from fellow photographers when I buy and sell gear. 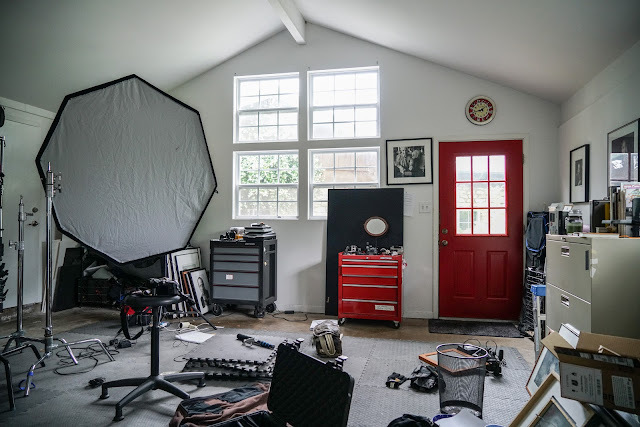 They seem to feel that we should be wedded to camera systems and individual gear choices no matter what changes there are in our markets, and with our clients. The recent switch I made, from Nikon to Sony, is par for the course. I've heard it already. "Sony obviously paid Tuck to switch systems!" No, Nikon helped push the big button for change. And I'll tell you why. I was waiting patiently with my gaggle of Nikon bodies and lenses; waiting to see what Nikon would bring out this year to help photographers shoot 4K video. If you are not working in the corporate commercial photography space the topic may seem like a tempest in a teacup. After all, who needs 4K? Where are you going to show it? Most people don't even have 4K TVs? Right? No. Wrong. We're working on a project right now that will be projected at a trade show with state of the art, 4K projectors. Many of our major technology clients here in Austin have had 4K televisions in board rooms and meeting rooms for a good long while. I think what the naysayers meant to say is that there are very few middle class brides and grooms who are demanding 4K wedding videos along with their photographs. It's two profoundly different markets. Insanely different.